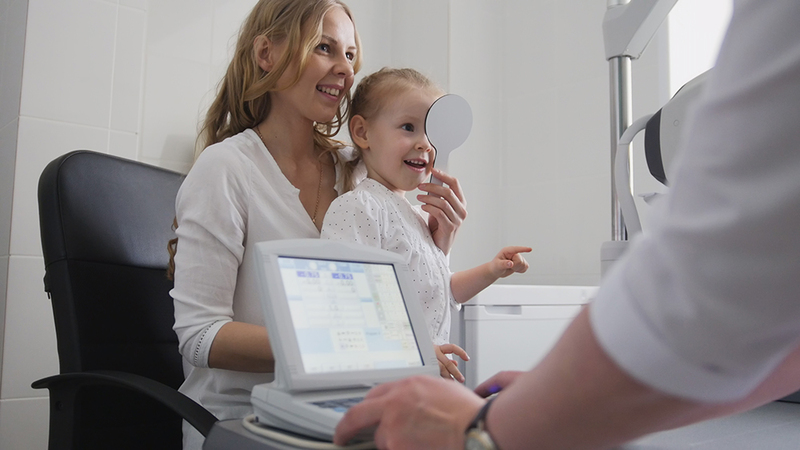 If you're a new parent, you may feel thoroughly confused by the long list of medical checkups and procedures every child needs, including eye care. Let's look at what you can expect from our pediatric eye exams at Epic Vision Development. When you schedule eye examinations at Epic Vision Development, you can rest assured right from the start that you're visiting the pediatric optometrist Reno NV trusts with its kids' eye care needs. Dr. Moore follows the recommendations of the American Optometric Association by urging parents to schedule three key eye and vision exams during the little ones' first years of life. The initial exam occurs at 6 months after your baby has had a chance to develop basic vision skills. We will discuss your child's medical history, including any congenital conditions or complications that occurred during birth, to help establish a baseline of ocular wellness. Our Pediatric Optometrist in Reno will examine the eyes for signs of disease or alignment errors such as strabismus. We also check basic functions, from visual processing to eye tracking, teaming and focus. We will then schedule your child's next exam, which occurs at age 3. This exam repeats the eye health and eye function checks, aided by your child's newfound ability to communicate with us. We can also check for refractive errors and perform simple visual acuity testing at this stage. Our pediatric optometrist in Reno will urge you to bring your child in for the third exam around age 5 or 6, depending on when the child is due to start school. This exam places special emphasis on pediatric vision testing so we can see whether your child has a refractive error that might cause eye strain, eye fatigue, and learning difficulties in the classroom. If we discover a refractive error, help is just a fashionable pair of eyeglasses away! As your school progresses through the school years, you can expect to follow a more "adult-like" pediatric eye exam schedule. We recommend an eye and vision exam every two years to make sure all is well; if your child has a refractive error or eye function issues that need to be monitored, we will recommend an exam every year. Epic Vision Development is always happy to answer parents' questions and help them help their kids enjoy optimal eyesight. Choose the eye exams for children Reno relies on, contact us at (775) 507-7171 today for an appointment! Want to learn more about pediatric eye exams? Check out our blog post here!